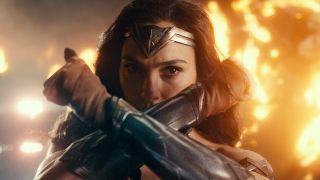 Originally helmed solely by DC cinematic universe visionary Zack Snyder, Justice League underwent script rewrites and reshoots led by Joss Whedon when a family tragedy struck earlier this year. This has not set well with one particular viewer, who is urging Warner Bros. to release a 'Zack Snyder cut' that scrubs the Whedon out. He's filed a petition on Change.org, and gathered more than 80,000 signatures from like-minded fans. The petition's statement is a bit difficult to parse, if only for its length - the declaration is a hefty 1200 words, and that's after the creator (or someone else) trimmed it from 2400. But when you read phrases like "Whedon’s reshoots did [Snyder] a disservice," calling The Avengers director's work a "butchering of Snyder’s original cut," it's pretty clear a line has been drawn. So the two big questions here are one, does the petition have any merit, and two, what are the odds of WB listening? It's not been entirely clear how much Whedon has added to or subtracted from the film. It's important to keep in mind the director, known for quick banter between ensemble casts and light-hearted humor, was brought on to help punch up the story long before Snyder's departure, and worked with Snyder in tandem. It's possible that Whedon rewrote even more of the script once he was behind the cameras, but that hasn't been confirmed. What is known is that the Writers Guild of America determined that Whedon contributed at least one-third of the final screenplay, thus earning him a writing credit on the film. Justice League producer Charles Roven tried to downplay Whedon's involvement earlier this month, saying that, "That imprint that Joss had, some aspect of it is going to come out in the direction, but the actors are already pretty much down the road on their arcs. Let’s just say 80, 85 percent of the movie is what was originally shot. There’s only so much you can do with other 15, 20 percent of the movie." You may notice that Roven doesn't actually say that 15-20% of the final Justice League cut belongs to Whedon, but merely threw those numbers out as a hypothetical. If what he says is accurate, Whedon's impact should've been minimal. But as the petition shows, it clearly wasn't for some. So personally, I think the complaint has merit. I might disagree about the specifics, but it's become increasingly clear that Whedon's involvement was no small thing, and his style clashes with Snyder's. As for how likely it is for Warner Bros. to release Snyder's cut for home video, I wouldn't count on it. Despite the lowest opening at the box office for any DC film, Justice League is still a tentpole film in WB's plans. A 'Snyder's cut' would likely further divide viewers, and confuse audiences of future DC movies. Plus, if Whedon really did drastically change the movie's tone, it would be just as much work to reassemble it to fit Snyder's style. If you were Warner Bros., would you spend that kind of money twice? That said, stranger things have happened. And who knows, maybe this will get WB's attention. In the span of two weeks (which yes, if you're counting, means the petition was started before the movie was in theaters) it's gained nearly 90k signatures. Of course, if you liked Justice League, that's cool too - maybe you can answer some questions we have?